1 - Pope Francis said recently, as you know, that "The Big Bang does not contradict the divine act of creating. And The Evolution doesn't contrast with the notion of creation". Also recently, Pope Francis tried to push for acceptance of homosexuals. When would Al-Azhar take similar steps? And do you see this happening at all? 2 - In your opinion, what would be the repercussions if Al-Azhar tried to adopt, in the near or far future, such liberal stance? Any other comments would be very much appreciated! Looking forward to reading your response and thank you very much in advance! 1- The vast majority of Azharite clergymen are not inclined to accept or tolerate any new thought of any type unless accepted first by the general public in Egypt. Azharite clergymen come always at the last of any train or caravan. Very few Azharite scholars call for reform in many aspects. They are revolutionary ones who have revolted against traditions, intellectual sterility, and mental stagnation of the Azhar institution, with the purpose to reform and revamp it. Among Azharite luminaries in Egypt who were true political and religious reformers are the following: Rifaa Al-Tahtawi, Taha Hussein, imam Muhammad Abdou, Saad Zaghloul, Ali Abdel-Razik, Mustapha Abdel-Razik, and the Azhar head in the 1960s sheikh Shaltout. All of these luminaries suffered with varying degrees from clergymen of backwardness and ignorance. Imam M. Abdou with all his influence died in 1905 cursing them and he suffered a lot of persecution by them. Al-Azhar institution has entered its worst dark age since the emergence of Wahabism and its agents who control Al-Azhar since the early 1970s. Wahabism is the intellectual base of the terrorist MB group members, Al-Qaeda, and ISIS. Quranists have emerged since 1980s to face the Wahabi thought that claims falsely to represent Islam; Quranists are still trying to peacefully reform Muslims within and via real Islam found in the Quran alone. Ours is an intellectual war waged on Wahabism. Due to the success of Quranists in exposing and undermining Wahabism, Quranists faced persecution and incarceration in the era of Mubarak in Egypt many times. This persecution goes on until now. Quranists have founded their website in Arabic and in English and the International Quranic Center (IQC) in the USA. These modest means are the only ones Quranists have with no source of funding or financial support whatsoever. Quranists have undertaken - alone and unaided – the mission to peacefully reform all Muslims worldwide: in the Middle East and in the West. Quranists call for the integration of immigrants among Arab Muslims in the West into their respective societies. Quranists know for sure that the West countries are nearer to the application of the Islamic sharia in the Quran, based on justice, religious tolerance, absolute freedom, and respect of human rights and dignity, whereas Middle Eastern countries live in total contrast with Islam and its Quranic sharia, because they are Wahabi countries. Wahabism has been created and propagated and spread by the KSA falsely under the name of Islam. This is the reason why Quranists are persecuted by Wahabis. Azharite sheikhs and clergymen are leading this persecution of Quranists in Egypt; they are persecuting any other intellectual innovation or religious reform as well. Hence, it is impossible in our opinion that Azharite sheikhs would accept any new ideas or thought from the West after they have rejected Quranism based on the Quran itself. 2- We, the Quranists, try to do our best in the reformation endeavor on our website; we have videos of our program "Exposing Salafism" in which we try to explain facts of real Islam: the Quran. The founder of Quranism, the writer of these lines, is a former Azharite teacher at the Azhar University. Our new thought of innovation can be added to the works of the names mentioned above. We have declared on several occasions on our website that Quranism is the extension of the views and line of though founded by imam M. Abdou, who died in 1905. 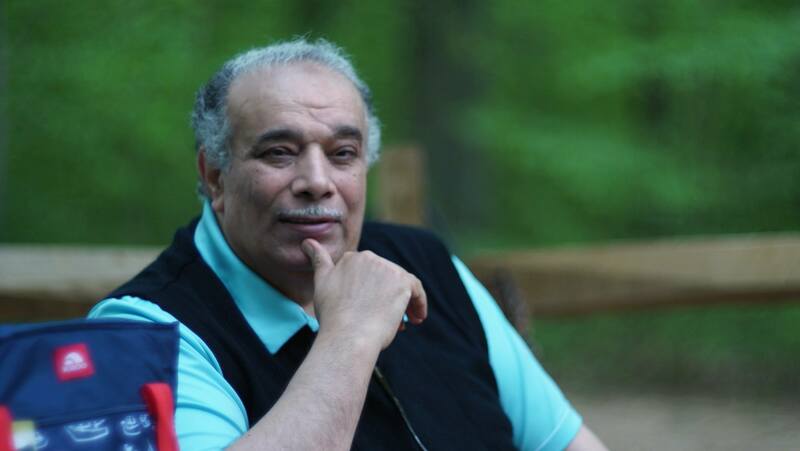 We, Dr. Ahmed Subhy Mansour, have tens of unpublished books that wait for being written on our website. Our website comprises thousands of articles, fatwas, and books. 3/2: Homosexual practices are forbidden in the Quran, as we have said in many fatwas, but it has no punishment in this life; just verbal admonishment and warning. (… human bodies are related to earth, whereas souls have been created at one time together before. Souls enter the bodies of embryos later on to become human beings inside wombs. Later on, bodies go into different stages: weakness, strength, weakness, and death, and sometimes people die young and in full health and strength. See 4:1, 6:98, 31:28, 23:5, 22:12, and 30:54). After death, human souls return to Barsakh its original place, while bodies return to the dust it has been created from before. The real person is the soul, not the body which is similar to clothes we wear… every soul takes a cycle of life to be tested on Planet Earth based on beliefs and acts and deeds. In the Day of Resurrection, after the destruction of the universe, every soul will be judged as per the beliefs and acts and deeds, to enter either into Paradise or Hell for eternity. See 16:111. Human beings have the advantages of liberty and mind: everyone can choose either belief or nonbelief and good or bad deeds. The West world specializes in empirical physical realm of the material masses and matters: bodies, animals, atoms, and galaxies. Barsakh is ethereal realm of the souls, devils, angels, and Jinns. This metaphysical realm cannot be visible to the material world and sciences. That is why materialists see nothing in humanity but bodies and brains which are like computers controlling these bodies. Hence, Darwinism and the evolutionary theory are accepted in general in the West. Yet, true believers cannot accept that human beings have higher animal origins. This is our opinion, supported by these verses in the Quran: "We have honored the Children of Adam, and carried them on land and sea, and provided them with good things, and greatly favored them over many of those We created." (17:70) and "And He placed at your service whatever is in the heavens and whatever is on earth-all is from Him. In that are signs for a people who think." (45:13).